New, easy to read, 32 page catalog offers performance and processing data on Master Bond’s extensive line of epoxy, silicone, polyurethane, silicate based and light curing compounds. These products provide solutions to PCB assembly, die-attach, conformal coating, surface mount, lid sealing, chip and wire bonding applications. Convenient, efficient and reliable packaging options are also reviewed. Products are available as liquids, pastes, films and preforms. Electrically insulative, thermally conductive and electrically conductive grades are listed. Pertinent mechanical, electrical, thermal and chemical resistant properties are shown. Additionally, information is provided on viscosity, cure speed, working life, color, etc. This catalog is available for immediate download in PDF format or in print. 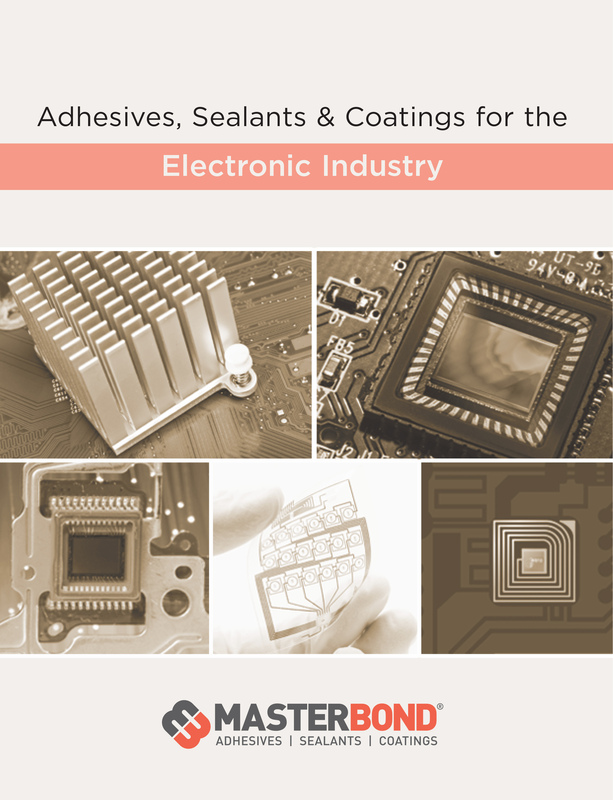 They can be requested at http://www.masterbond.com/catalog/adhesives-electronic-applications.